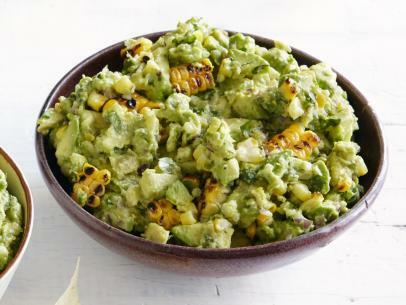 Remove the husks from the grilled corn and discard. Brush the ears of corn with 2 tablespoons of the canola oil and season with salt and pepper. Grill the ears until the kernels are lightly golden brown on all sides, about 5 minutes. Remove the kernels from the ears. Place the avocado in a medium bowl and mash slightly with a fork. Add the corn, serrano, onion, lime juice, remaining 2 tablespoons of oil, cilantro and salt and pepper and gently stir to combine. 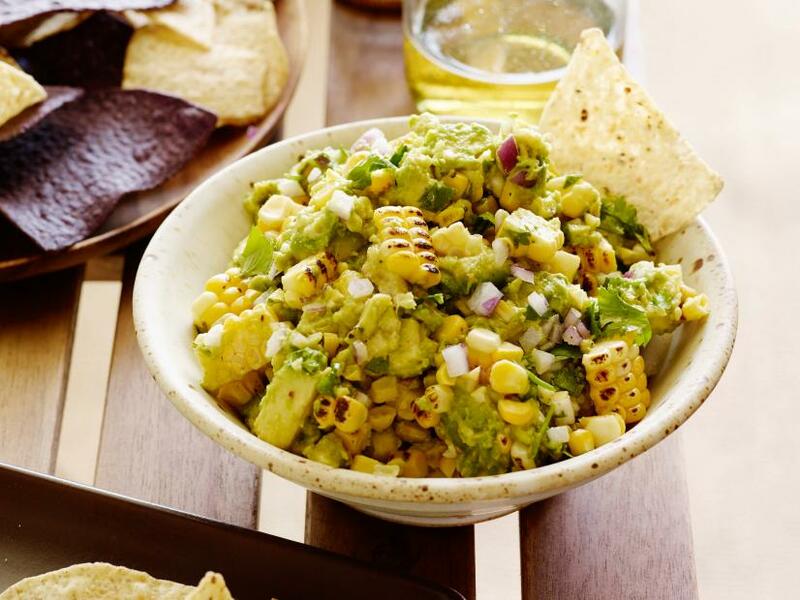 Serve with fried corn chips or warm flour tortillas.